Ladies tank top. 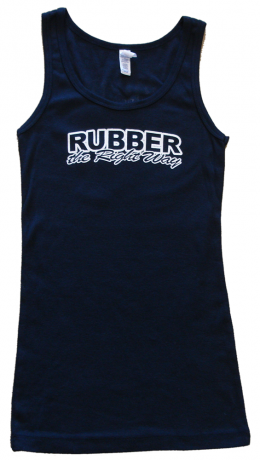 Rubber the Right Way logo on front, 1959 Cadillac on back. Available in navy blue only.